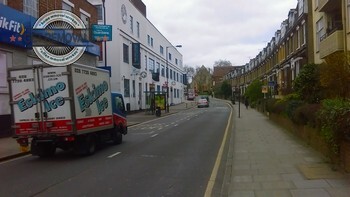 If you are looking for the best moving company in Gospel Oak you have just found it. If want to make life easier and hassle-free – get in touch with our dedicated moving team. That is right, you are just a phone call away from getting rid of all the stress and strain managing your domestic removal causes. We are going to take care of everything for you. We will plan your removal Gospel Oak project, coming up with the optimal solution to it. We will schedule your relocation at a time that would be most appropriate for you. We will pack your personal items, furniture and equipment using high quality removal tools and efficient methods that ensure their safety during the transportation process. We will drive your possessions to their new place in one of our very well maintained and clean vans, using GPS navigation in order to choose the shortest and safest route. Every step of your project is going to be taken excellent care of once you have us by your side. We have extensive experience in the business working for both domestic and commercial clients. You can count on the fact that whatever there is to know about the industry, we know it. Get in touch with us today if you have to ask anything about our services and methods. Our polite and experienced customer support is available 24/7. The first step to getting any removal Gospel Oak project done is contact our call center and have a free no obligation quote as well as an individual plan for your project tailored. It will include the full value of the job you want us to do, with no additional charges and hidden fees once your items are transported. Thus you will be able to consider your budget properly in advance. Call us also for help with such tasks as rubbish removals, packing and unpacking and in case you need storage space for some of your items. We would be glad to help you in any way that is possible. NW3 and NW5 Gospel Oak is considered to be a inner urban area that is included in the territory of Camden. It is a beautiful district, mainly residential, which provides wonderful housing opportunities to a rich variety of people. The good transport connections and its close proximity to the City of London make it the perfect place to live in in case you work somewhere in the City. If you are looking for the best places in Gospel Oak, you should definitely visit the old Oak Village, around which the urban district emerged. A large number of very well preserved Victorian and Edwardian terraced houses that are still in use can be found in the Mansfield Conservation area. Gospel oak is known as having been a home to novelists Jerome K. Jerome and George Orwell in the past. Among the notable current residents of the area are Michael Palin, Fiona Miller, Anthony Green and several others.